Home Comic Books Kia Sangria review Review: SHOWTIME at the Apollo! It's Black History Month which comes at a time in our country when Black People are recognized for our achievements and contributions to American culture. Whether it be in our style in fashion, music, dance, invention, and food; we have shaped this country and the world moreover. We are trendsetters and we have made our presence known in Pop-culture. In regards to the music industry; we are pioneers and one of the places in which the greatest performers of our existence have gotten their start was on 125th street Harlem in New York City. 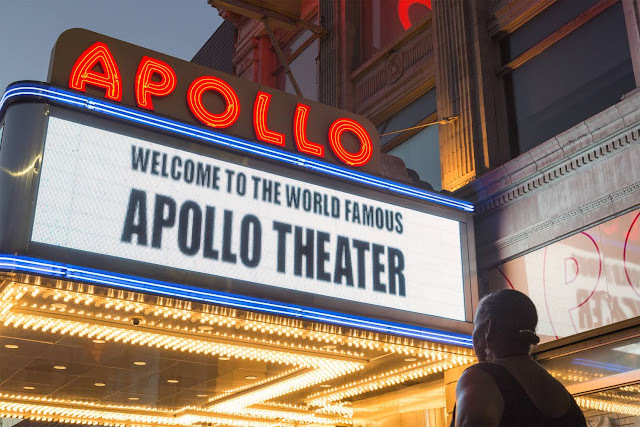 My earliest memories of the Apollo Theater were while my parents were shopping in Harlem or if my school happened to pass by it on a school trip. As an adult at 25 years old I still have never been inside the Apollo but I can feel the magic when I walk by the theater during my own trips. I'm no stranger to the story of the Apollo and if you're reading this, I am sure you aren't either. This graphic novel "Showtime at the Apollo: The Epic Tale of Harlem's Legendary Theater" by Ted Fox & James Otis Smith is a fresh take on a historical location in Black History and culture. The art appeals to a younger audience while the message can be felt by all who pick it up. 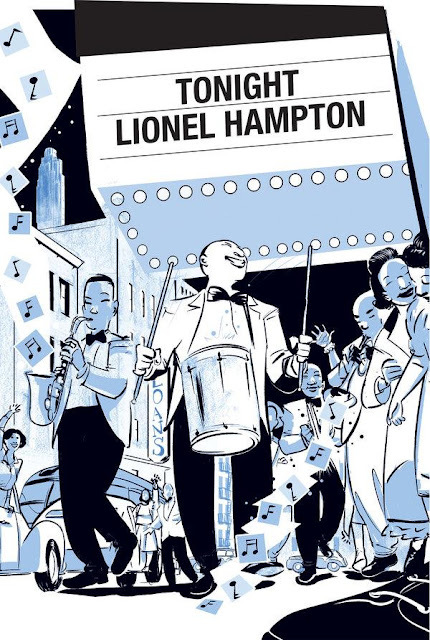 Fox does a great job of explaining the history and the blackness that the theater holds from originally being a burlesque theater to slowly becoming a big icon in the Harlem Renaissance. The theater, while beautiful has had a troubling history with elements of racism and systematic oppression the theater's existence today, is a testament to the strength that comes when we all comes together. "The Apollo has nurtured and featured thousands of artists, many of whom have become legends. The beauty they have given the world—their art—transcends the hatred, ignorance, and intolerance that often made their lives difficult. Today, the Apollo enjoys an almost mythical status. 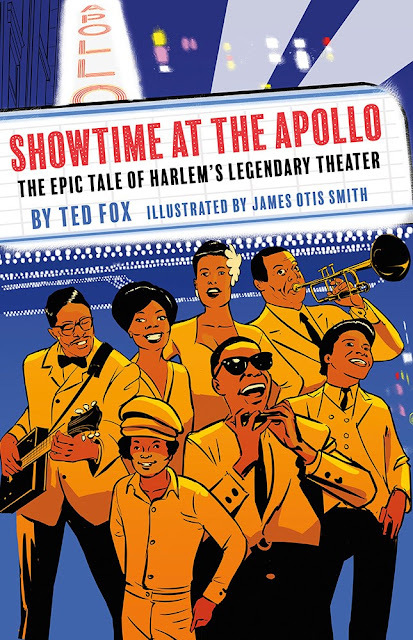 With its breathtaking art"
James Otis is brilliant in his illustrations of what life was like for the community that frequented the Apollo in the early 1930s. 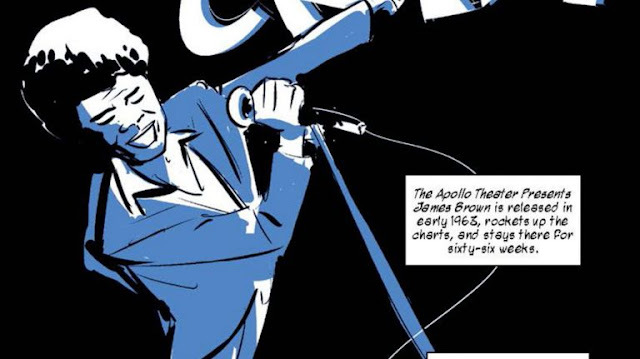 The thing I love those most about this graphic novel is that it showcases many shades & elements of blackness you will see a lot of Iconic faces, and pick up a lot of musical elements that still exist today in 2019. You will learn about the unique musical experiences of many Iconic black stars including James Brown, Ela Fitzgerald, & Josephine Baker. This book is split into decades because of the rich history attached to the Apollo theater. The larger than life depictions and flow of words almost gives you a glimpse as if you were really there all those years ago. This book is an experience to be had by all ages.This is a great book for school students especially during the month of February.